Shio, the Japanese word for ‘tide’, is very important for the people living on the islands in South Western Japan. It refers not only to high and low tides but also to the currents running between the islands that decide the favorability of sea travel between them. If the shio is not right it will be difficult to manoeuver across the seas. 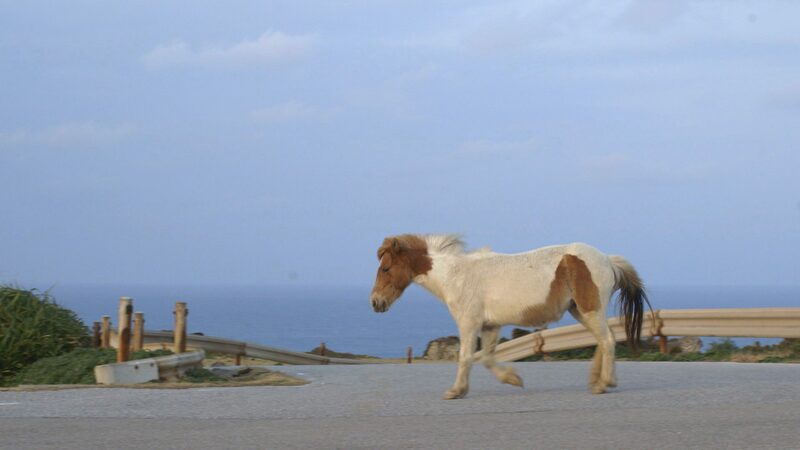 The film is set on Yonaguni Island, the most South Western island of Japan, where 120 horses are left to leave independently and to freely amble around. The island has had a turbulent past and is a political pawn since the placing of a radar tower and military base in 2016. As the human population keeps declining, the horses, unable to leave the island, seem to defiantly roam their habitat along the steep rugged coastlines. Using the elements of nature, a young girl and her horse might find a way to conquer the shio.